The Greensboro Western Loop involved the construction of a new interstate highway which ties to the existing I-85 Business / I-85 Bypass interchange just west of Greensboro. 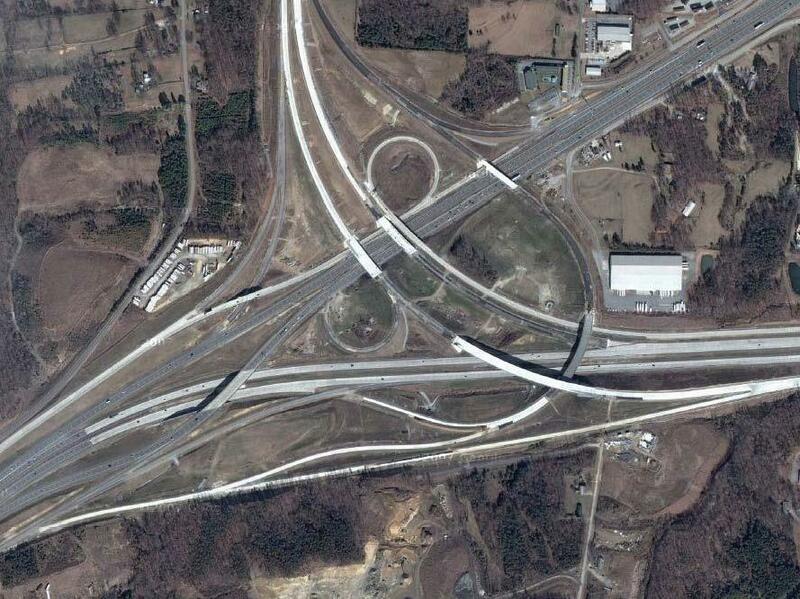 Stewart was responsible for the traffic control plans for the construction of this complex interchange. Both I-85 Business and I-85 Bypass are high-volume highways, with more than 60,000 vehicles per day. Because of the high volume, two lanes of traffic in each direction had to be maintained at all times. The firm also designed four of the bridges for this interchange. Drilled pier footings were utilized for the substructure to minimize encroachment on adjacent traffic lanes. Steel continuous curved and straight girders were utilized for the superstructure. The bridge construction required temporary crossovers and detours to maintain traffic flow. Throughout the project, Stewart worked closely with the NCDOT Traffic Control Unit Engineers and NCDOT Division 7 Construction Engineers to establish strategies on the best way to maintain traffic flow during construction.